PIVOT JOINT In a pivot joint, movement is limited to rotation, either by means of a bony projection pivoting within a ring, or a ring pivoting around an axis, for example, the joint between the first and second vertebrae in your back. Such a joint should not be touched up; it is perfectly functional, and the reason why these joints form is known. Designed to solve endurance and temperature issues on propshafts with medium to high installed angles, the PX joint design also uses opposed ball tracks to keep frictional pressures and temperatures low. Seal assembly, NSN 4320-00-734-6951, is used on M939A2-series trucks with the newer rubber-encased CV joint. In this article, we report two new cases of pigmented villonodular synovitis of the temporomandibular joint, and we review the previously reported cases. No matter what treatment you decide on, one thing is clear: "When your joints start to get stiff and a little achy from arthritis, don't hold them still," says Lynn Millar. reported that in one study, 44 of 69 people with rheumatoid arthritis had antibodies to GPI circulating in their blood and in the fluid bathing their joints. 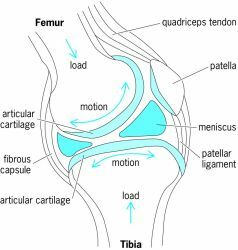 TNF helps stimulate the body's interleukin-1 cells to aggravate joints, according to Dr.
Septic arthritis of the sternoclavicular joint is an uncommon condition, and the diagnosis can be missed until a complication occurs. The basics of pressure rotary joints A pressure rotary joint consists of one or two carbon bearings, a carbon graphite seal with a spherical sealing face and a spring that keeps the seals together at zero pressure (figure 2). A single-joint (or primary) exercise involves the movement of only one joint, enabling the athlete to isolate a single muscle.